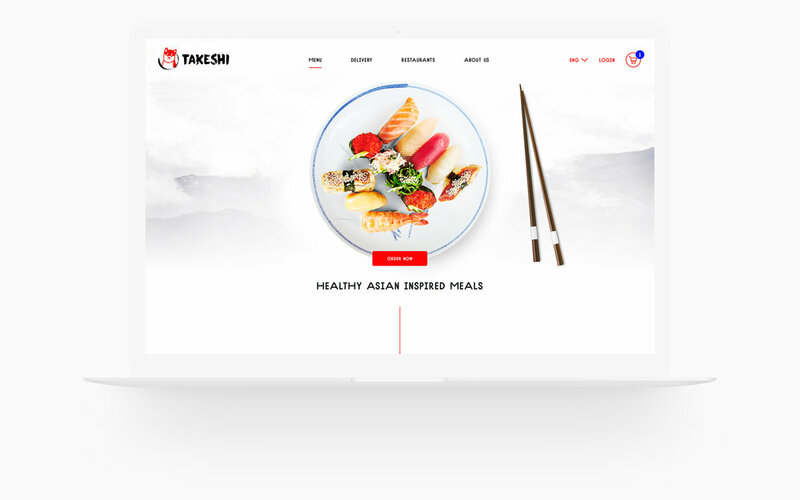 Takeshi is a fast casual Japanese restaurant, named after the owner's beloved dog, Takeshi, cooks up fresh and delicious sushi in the traditional minimalistiс Japanese setting: a Japanese chef, one-page long seasonal menu and counter seating only. Due to the limited availability of seats the restaurant has an online, home-delivery system. The traditional setting determines the overall approach to the design: minimalistic UI, natural colours and clean layouts. The main goal was to make UX natural, just like Japanese hospitality and their etiquette, which can be distilled to four Japanese hospitality rules: anticipation of guest needs, attention to detail, seeming effortlessness, and naturalness.